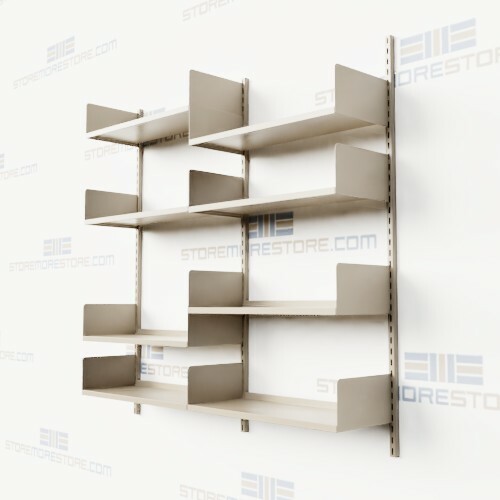 Wall mounted shelving units are completely adjustable solutions that are great for libraries, businesses, hospitals, retail, and more. Our single-wide units are ideal for smaller applications, or you can choose from a variety of multi-unit kits. With its own brackets, you can adjust each individual shelf on 1″ increments even on adjoining units. This allows you to store multiple item sizes in one space without purchasing additional storage equipment. Available in a variety of sizes, the wall mounted shelves can be used from above-counter to floor-to-ceiling storage depending on your size and accessibility needs. Use them to store library books, business files, medical supplies, cleaning supplies, retail displays, cooking supplies, and much more. Using wall mounted shelves also allows you to keep stored supplies organized and off the floor or scattered around the office. If you’re running out of space, it may seem like the only solution is to place items wherever they will fit, even if it increases the risk of damage, loss, or theft. But the wall mounted units remove the need for extra floor space from the equation and make use of your (likely underutilized) wall space. 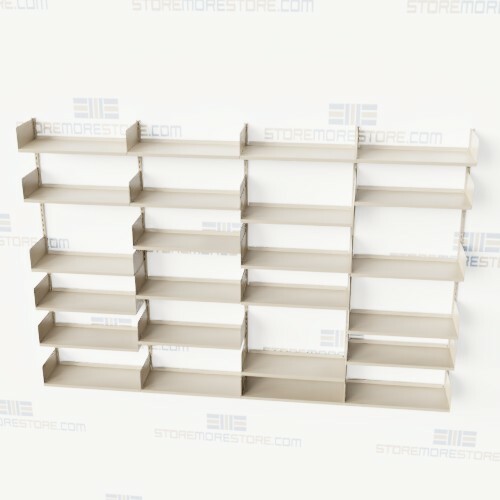 Wall mounted shelving units are available to buy online with free dock-to-dock shipping included. If you need any assistance or just want some help picking the right solution for you, please call us at 1-855-786-7667.